At the age of nine Trevor Corson released his first book, a story bound with cardboard and yarn that told of a robotic belly-button cleaner gone berserk. In pursuit of the weird art of immersion journalism ever since, Trevor has lived in student dormitories in China, worked as a commercial fisherman through winters off the coast of New England, followed chefs in kitchens and actors on adult film sets in Los Angeles, participated in fire rituals in Buddhist temples in rural Japan, wangled his way aboard scientific research ships, partnered with an atomic-bomb survivor turned peace activist, and witnessed mass civilian protest and violent military repression. Trevor's writing has covered subjects as diverse as underwater crustacean romance, the entwined history of race and aerial bombing, the molecular structure of rice, the risks of submarine warfare, the scientific debate over the definition of death, and the plight of factory workers in China's rustbelt. In addition to his two books published by HarperCollins, Trevor's writing has appeared in The Atlantic, The New York Times, The Wall Street Journal, The Los Angeles Times, The Boston Globe, The Nation, Transition, Gastronomica, and other publications. 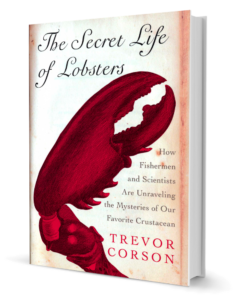 Trevor’s first published book, The Secret Life of Lobsters: How Fishermen and Scientists Are Unraveling the Mysteries of Our Favorite Crustacean, began as a centerpiece article in The Atlantic that was included in The Best American Science Writing edited by Oliver Sacks. The Secret Life of Lobsters was a Barnes & Noble Discover Award winner and was named a Best Nature Book of the Year by USA Today and Discover and a Best Book of the Year by Time Out New York, and went on to become a worldwide bestseller in the popular-science category. To research the book Trevor lived on a small island off the Maine coast for two years while working year-round as a crew member on a fishing boat, then spent months hanging around laboratories and digging into zoology archives to immerse himself in the surprising soap opera of decapod mating habits. Learn more about The Secret Life of Lobsters. 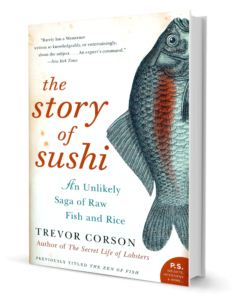 Trevor’s second book, The Story of Sushi: An Unlikely Saga of Raw Fish and Rice, was selected as an Editors’ Choice by The New York Times Book Review; it was also named a Best Food Book of the Year by Zagat and the Best American Food Literature Book of the Year by the Gourmand Awards. To research the book Trevor followed a group of novice American sushi chefs through a grueling apprenticeship, consulted previously untranslated Japanese sources, and spent a bit too much time investigating the fornication techniques of seaweed and the biology of gender-bending fish and shrimp. Learn more about The Story of Sushi. "A fascinating story, blending science, politics and history ... the writing is vivid." "Rarely has a Westerner written so knowledgeably, or entertainingly, about the subject. ... An expert's command." Trevor began his writing career as an editorial assistant at The Atlantic magazine, and went on to serve for three years as the managing editor of the literary journal Transition, published by Henry Louis Gates, Jr. and Kwame Anthony Appiah at the W.E.B. Du Bois Institute in the Department of African and African American Studies at Harvard University. During Trevor’s tenure at Transition the journal won three consecutive Alternative Press Awards for International Reporting and was nominated for a National Magazine Award in General Excellence. An essay Trevor wrote for Transition on the science and spirituality of brain death and organ transplantation, titled "The Telltale Heart," was named a Notable Essay of the Year by Best American Essays. Trevor and his work have been featured on CBS Sunday Morning; ABC World News with Charles Gibson; NPR's All Things Considered and Talk of the Nation; WAMU's The Diane Rehm Show; WNYC's RadioLab; BBC's Natural Histories, Food Chain, and The Food Programme; and Food Network's Iron Chef America, as well as on numerous other television and radio programs and in the press. He was a co-author of the Blue Ocean Institute's Guide to Ocean-Friendly Sushi, and his educational video Sushi: You're Doing It All Wrong, produced by CBS, was a finalist for a Digital Ellie award from the American Society of Magazine Editors. Trevor has been a member of the PEN America Society, the American Society of Journalists and Authors, the Association of Writers & Writing Programs, the Neuwrite Collaborative Science-Writing Group, and the Science and Social Difference Working Group at Columbia University. Trevor is married to the Finnish journalist Anu Partanen. 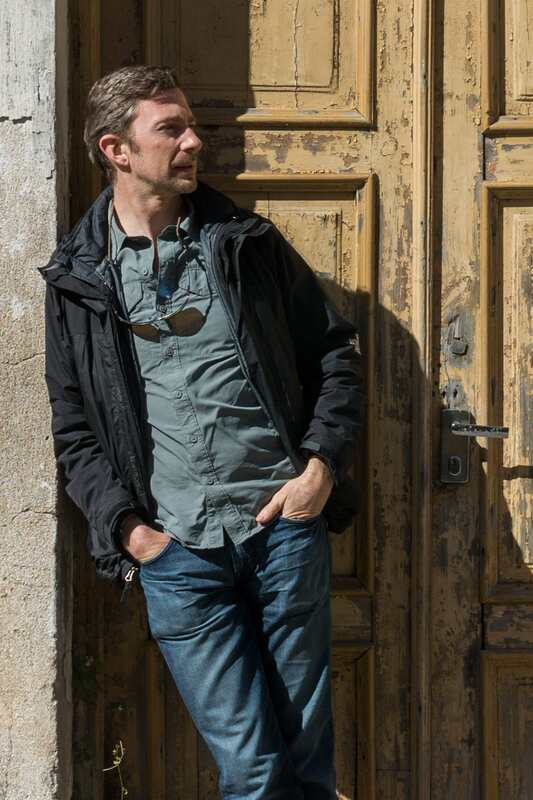 Trevor has served as an adjunct professor in the graduate program in creative writing in the School of the Arts at Columbia University in New York City, and has also taught full-time in the undergraduate writing program in the Department of English at Columbia. Previously he was a lecturer in the graduate program in science journalism at Boston University, a visiting writer in the M.F.A. program at the University of Memphis, a lecturer at The New School, and a faculty member at Brooklyn Friends School. He has taught writing workshops at the Key West Literary Seminar, the Nieman Conference on Narrative Journalism at Harvard University, and for the Symbioses BioSocial Network. Learn more about Trevor's teaching. Trevor has been an invited speaker at some of the premier venues in the United States, including the National Press Club, the National Geographic Society, the Smithsonian Institution, and the American Museum of Natural History. He has lectured widely on the topics of his work at schools, libraries, conferences, clubs and many other locations. Learn more about Trevor's public speaking. Trevor hosted a series of historical sushi dinners for about six years, based mainly in New York City. The dinners received wide media coverage and educated attendees on the gastronomic and ecological benefits of traditional sustainable seafood. Learn more about Trevor's historical sushi dinners.